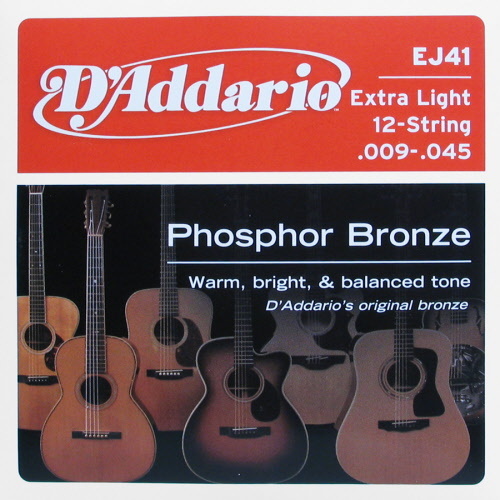 D'Addario XL Phosphor Bronze strings has become synonymous with warm and well balanced tone. D'Addario Phosphor Bronze strings are precision wound with corrosion resistant phosphor bronze onto a hexagonally shaped core. The result is a long lasting, bright tone and excellent intonation. D'Addario string set for acoustic guitars. Material: phosphor bronze. Version: Medium. Sizes: 013-017-026-035-045-056. Now from € 9,95 for € 7,95. 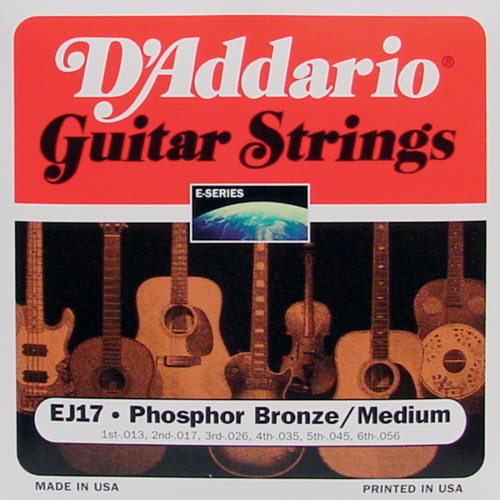 D'Addario string set for acoustic guitars. Material: phosphor bronze. Version: Extra Light. Sizes: 010-014-023-030-039-047. Now from € 9,95 for € 7,95. 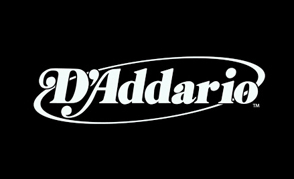 D'Addario string set for acoustic guitars. Material: phosphor bronze. Version: Custom Light. Sizes: 011-015-022-032-042-052. Now from € 9,95 for € 7,95. D'Addario string set for acoustic guitars. Material: phosphor bronze. Version: Light. Sizes: 012-016-024-032-042-053. Now from € 9,95 for € 7,95. 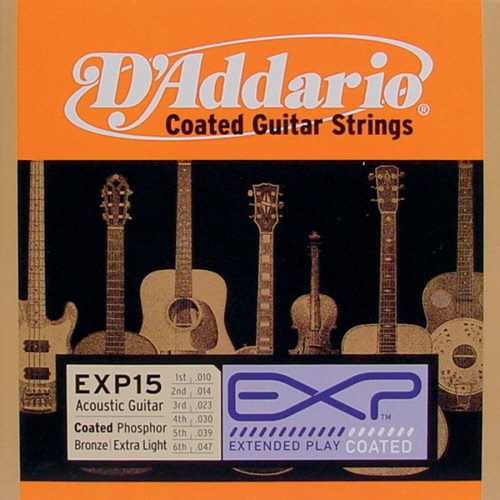 D'Addario string set for acoustic guitars. Material: phosphor bronze. Version: Extra Light. Sizes: 011-015-009-045. Now from € 12,95 for € 10,95. 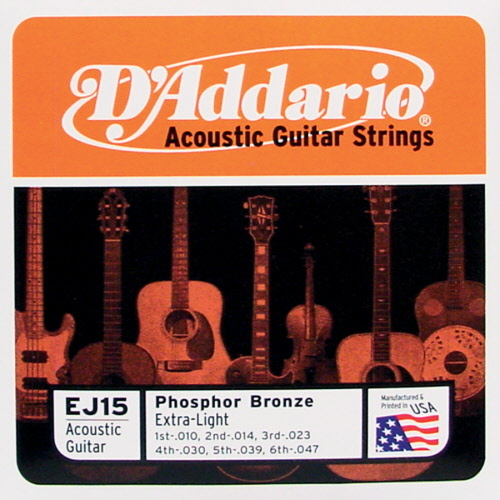 D'Addario string set for acoustic guitars. Material: phosphor bronze. Version: Light. Sizes: 010-047. Now from € 12,95 for € 10,95. D'Addario string set for acoustic guitars. Material: phosphor bronze coated. Version: Extra Light. Sizes: 010-014-023-030-039-047. Now from € 13,95 for € 11,95.